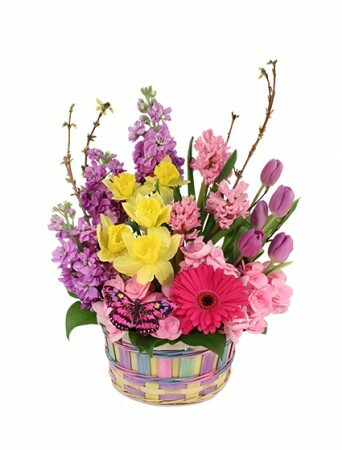 More than a breath of fresh air, this Easter arrangement has lovely yellow daffodils, lavender tulips, heavenly pink hydrangea, a hot pink gerbera, lavender stock, and pink hyacinth. A charming butterfly completes this basket. 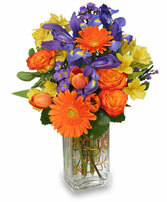 Send spring flowers today!